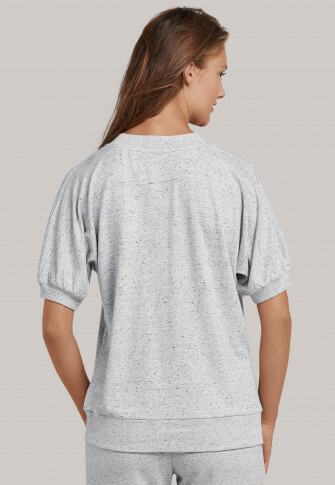 Pure casualness - this heather gray ladies' short-sleeved shirt could soon become your new wellness favorite! This is thanks to the casual cut with its wide ribbed crew neck, oversized sleeves and wide ribbed cuffs. 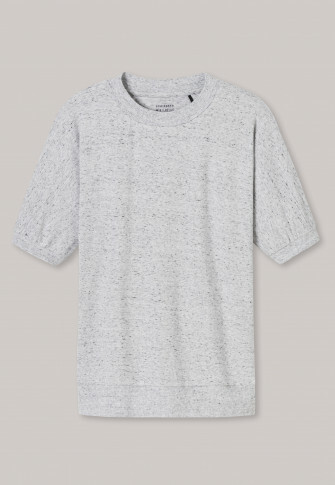 Close up, the t-shirt flatters with its light, super-soft viscose sweat fabric. Just grab a pair of matching pants and relax in the best SCHIESSER quality!